Except of course through the lens of Cllr Sara Bolton who is one of the 2 Labour Councillors in the Chaddesden ward and up for re-election in May 2018. Incensed that her “opponent” had seemingly secured a photo opportunity with staff in the “at risk” library that she, personally, had voted to make “at risk”, she reported this incident to Clare Davenport, Director of Leisure, Culture and Tourism. Following a recent occurrence at one of our libraries I’m sending this message to remind all staff that you should not be photographed alongside elected members while on Council duty. This is because the Employee Code of Conduct says “You must not allow your personal or political opinions to interfere with your work or your behaviour as a Council employee,” and being photographed alongside a Councillor could be construed or interpreted as suggesting you favour that Councillor in some way. Therefore if a Councillor asks you to be in a photo alongside him or her while you are at work you should politely decline, explaining that you are not allowed to do this. Please refer any complaints to me or our Service Director Claire Davenport. There are some formal events where it may be appropriate to be photographed alongside a Councillor – for example the opening of a new library or the launch of a major new initiative – but to avoid misunderstandings you should seek my permission, or the permission of another member of Libraries management, or Claire Davenport, before agreeing. It’s interesting that one of the acceptable examples given is the “opening of a library”. 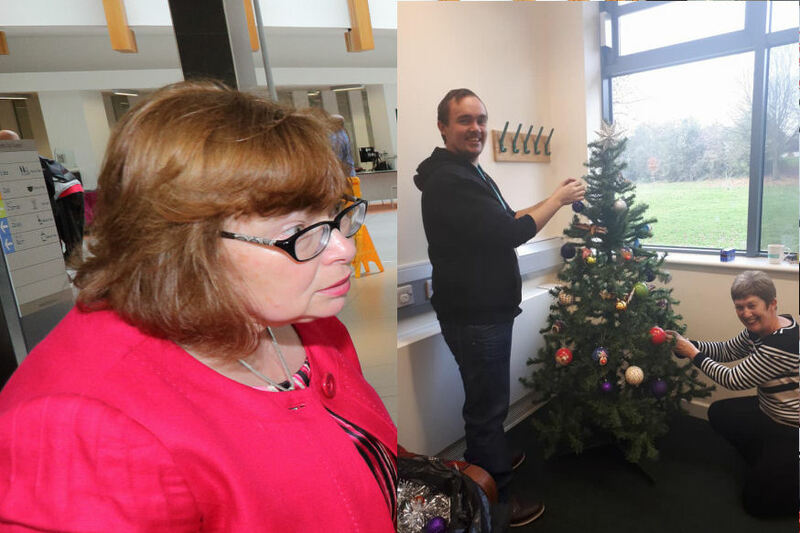 Given the current strategy that is unlikely and slightly insensitive….but it is does cater for the many photographs that were taken of Cllr Bolton, with library staff, when the Chaddesden library was opened a few years ago. It is reasonable to assume that, without Bolton’s political interference and coercion of Senior Officers then this letter would not have been issued. This was sent to a group of staff who are very uncertain about their future, many of whom are suffering with stress and anxiety due to the lack of clarity and poor communications. However, where communications are necessary to placate Bolton’s petty politicking then they happen swiftly, and concisely. Cllr Bolton lies to her Ward constituents over “being greedy”. How pathetic think Cll Bolton should spend her time trying to save our libraries,our wonderful T A staff, our old folk who are possibly having to leave their council run homes and children with extra needs who are still waiting for statements. GROW UP and do the job we pay you to do . I have no intention of criticising Cllr Bolton over this incident …. she works exceptionally hard for the people of Chaddesden, nothing is too much trouble for her and contacting her with any concerns, matters then are dealt with promptly. Chaddesden Library is of great importance to her, she fought hard for a new library for some 12 years.